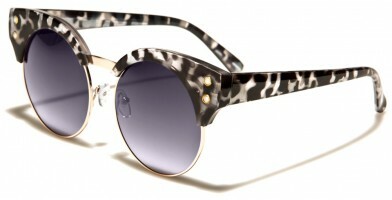 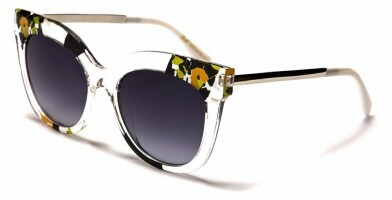 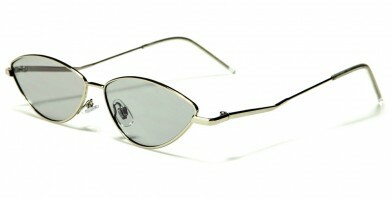 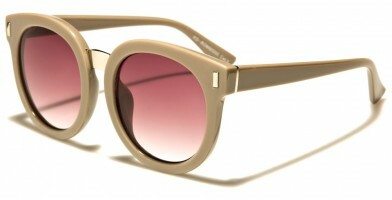 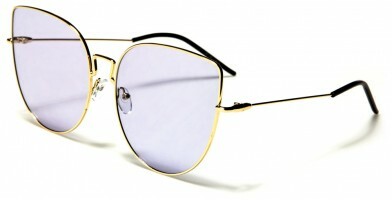 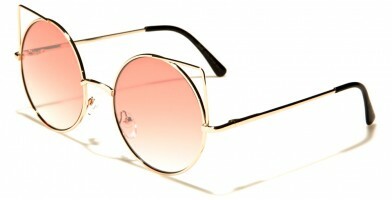 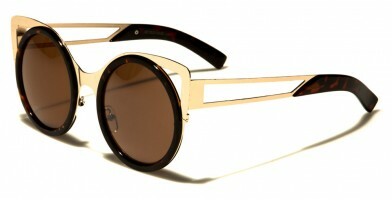 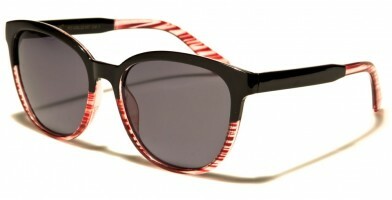 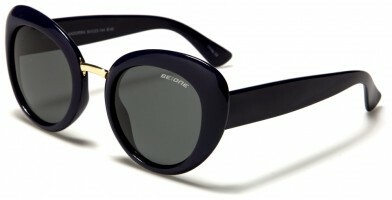 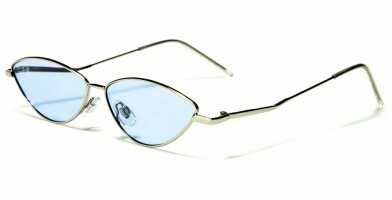 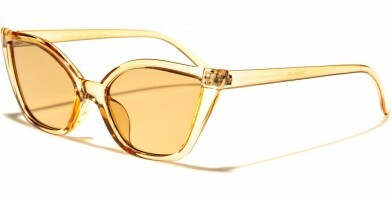 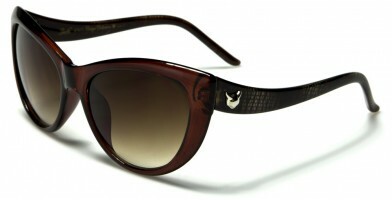 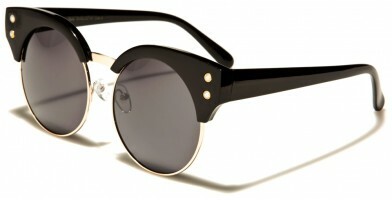 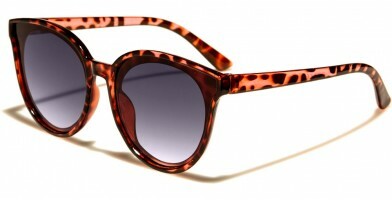 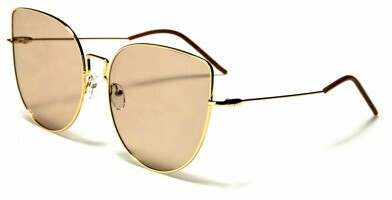 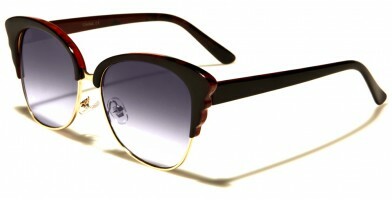 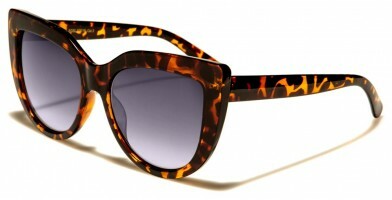 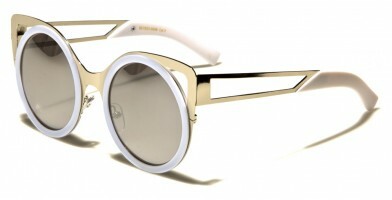 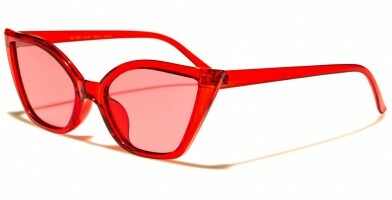 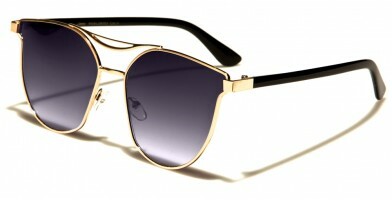 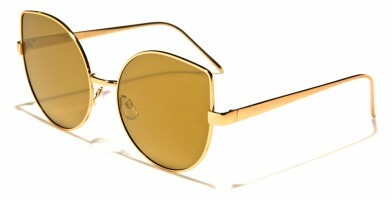 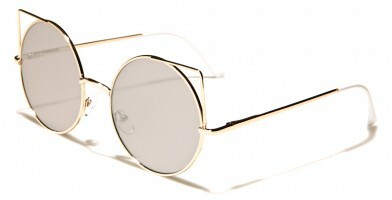 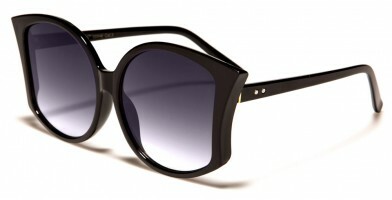 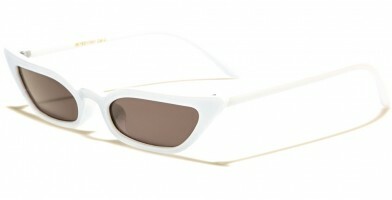 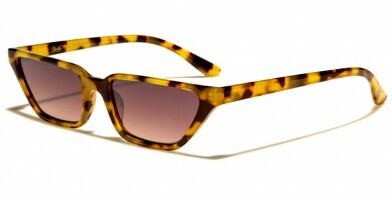 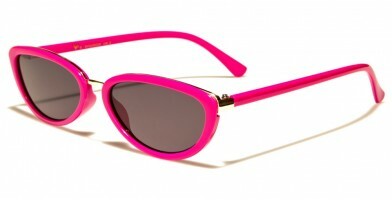 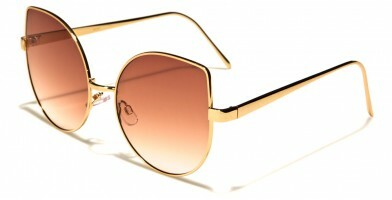 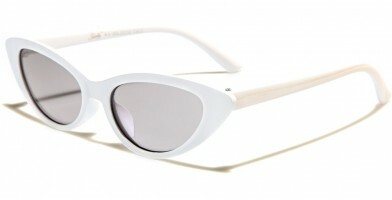 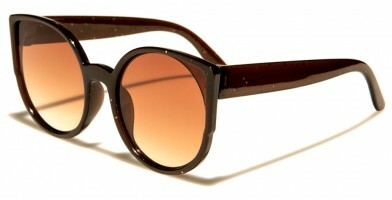 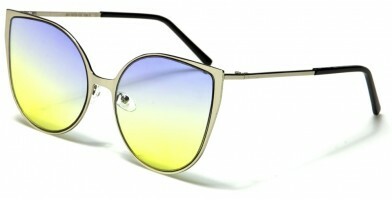 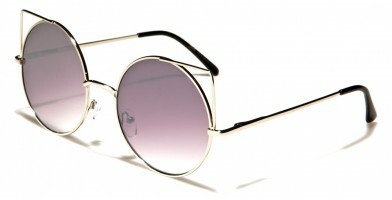 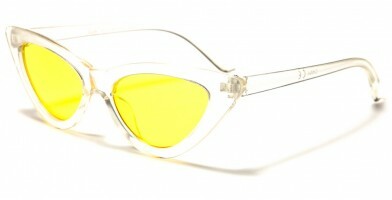 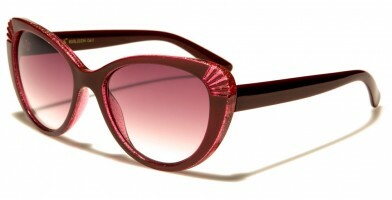 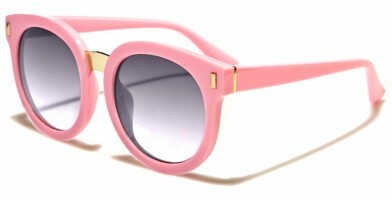 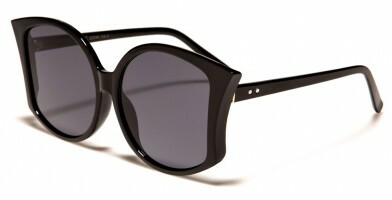 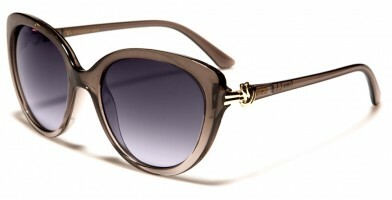 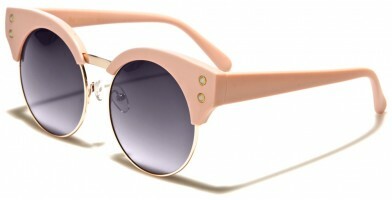 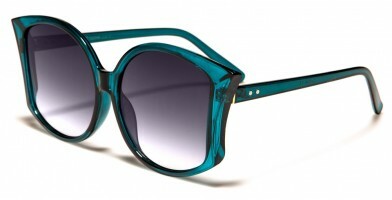 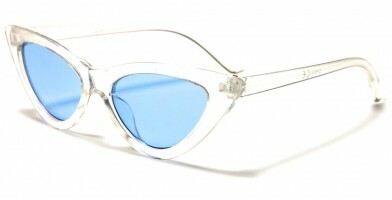 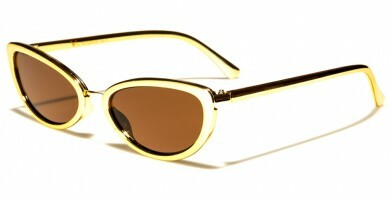 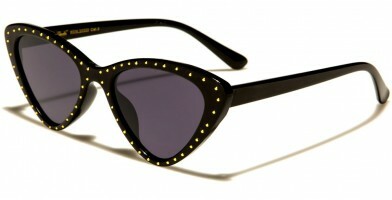 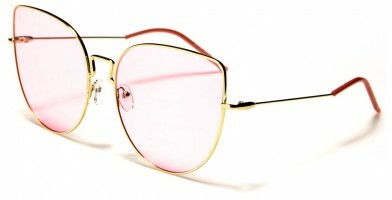 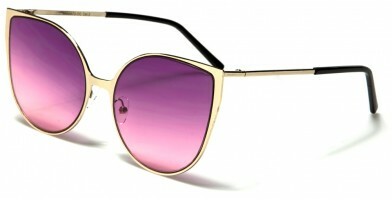 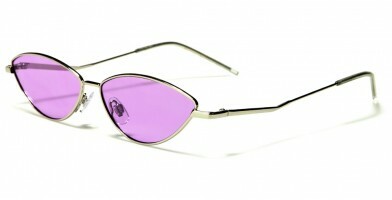 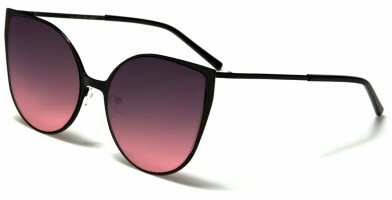 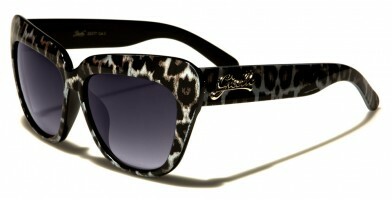 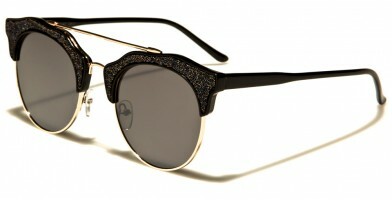 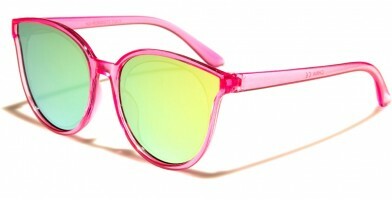 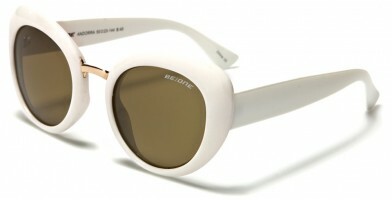 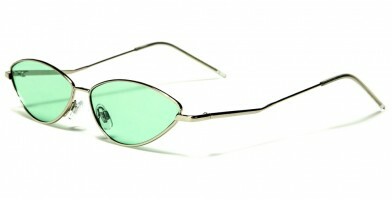 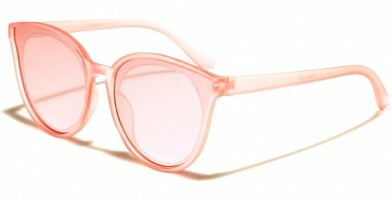 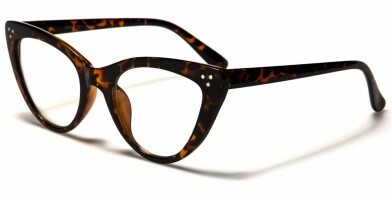 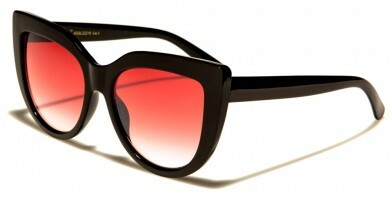 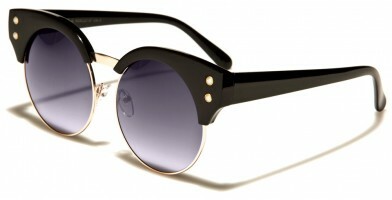 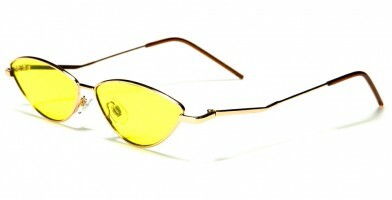 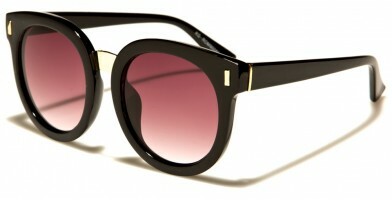 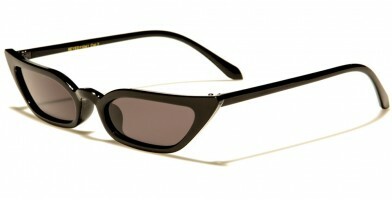 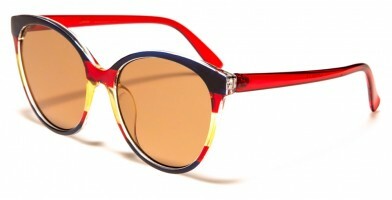 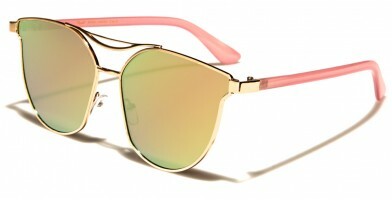 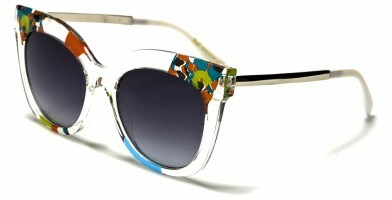 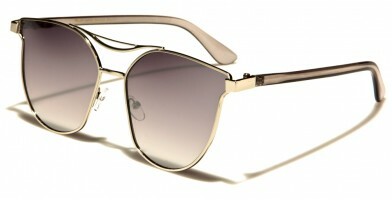 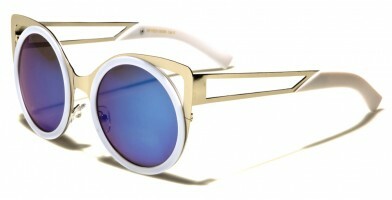 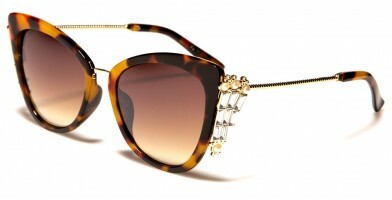 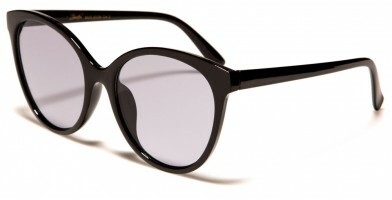 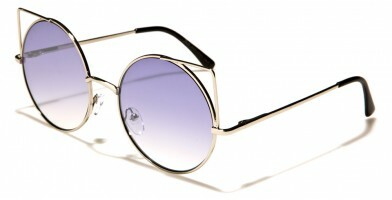 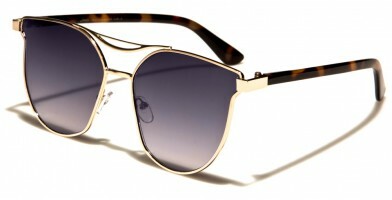 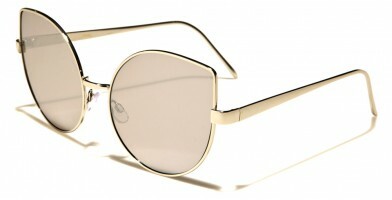 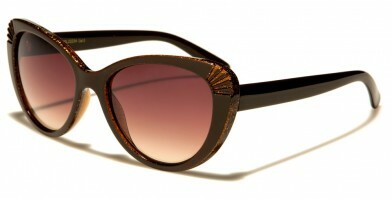 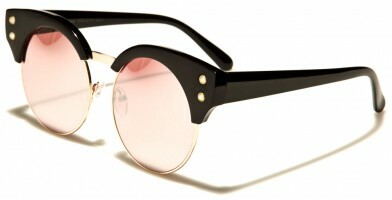 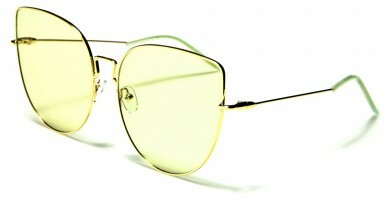 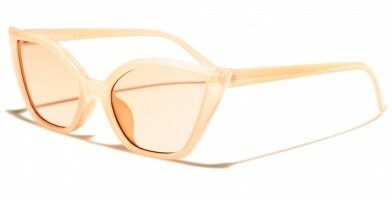 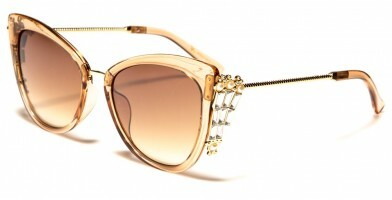 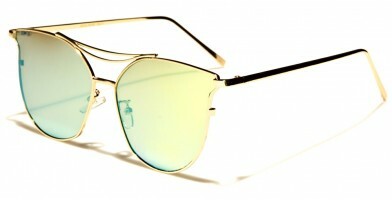 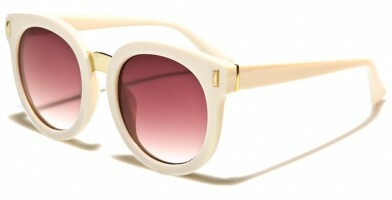 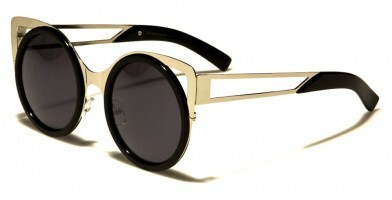 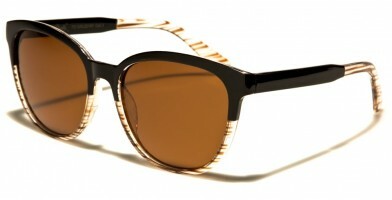 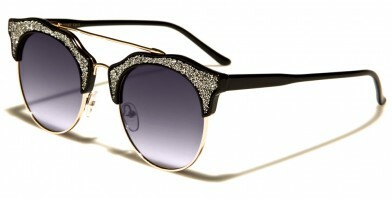 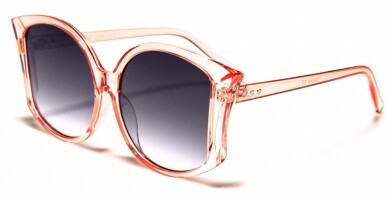 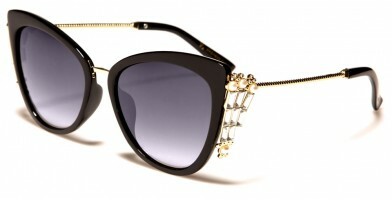 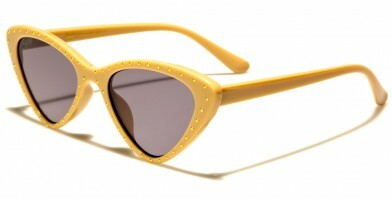 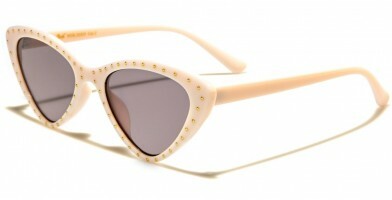 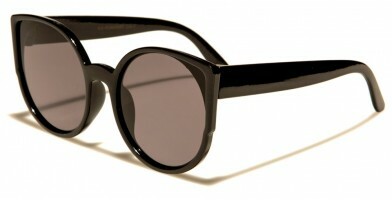 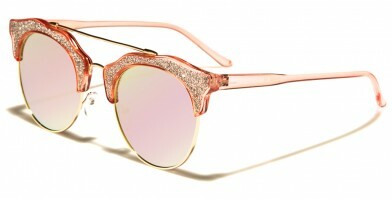 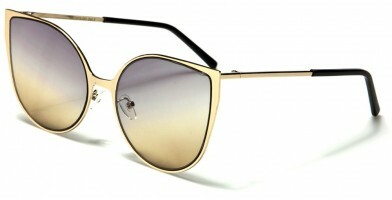 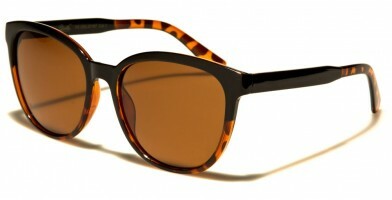 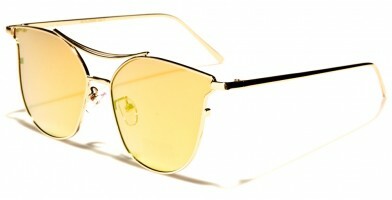 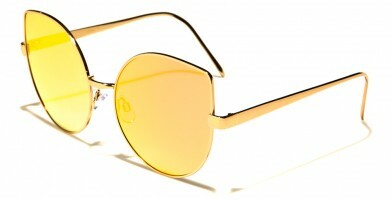 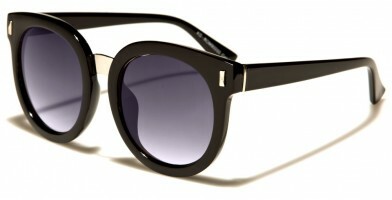 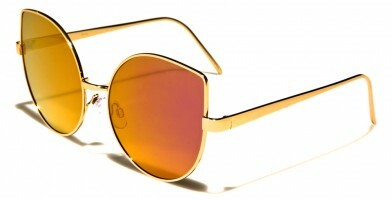 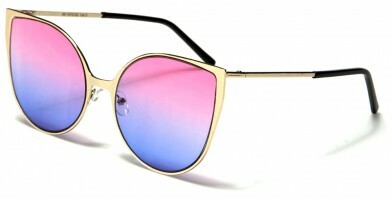 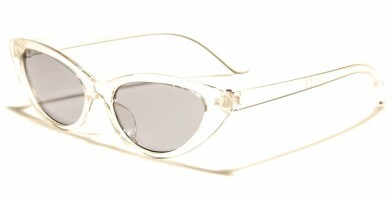 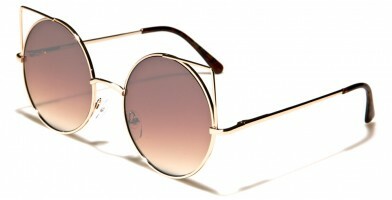 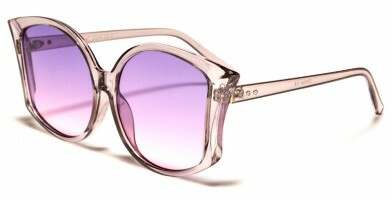 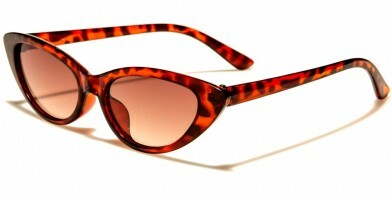 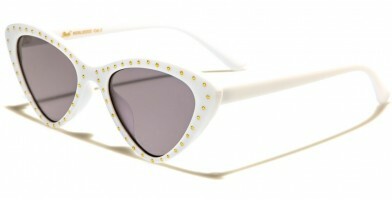 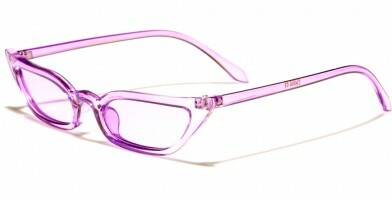 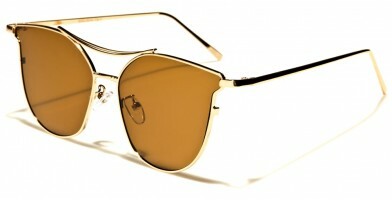 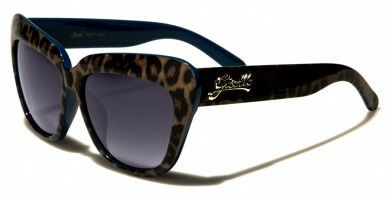 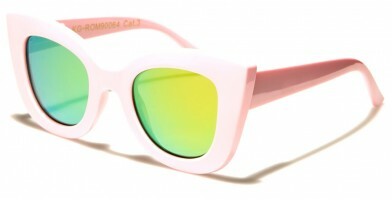 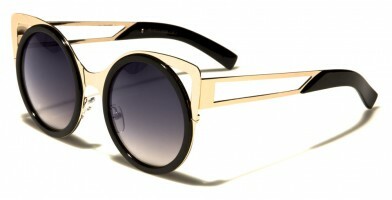 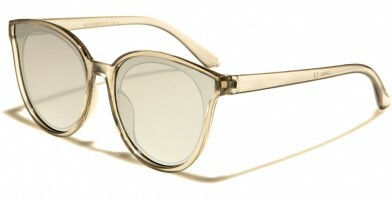 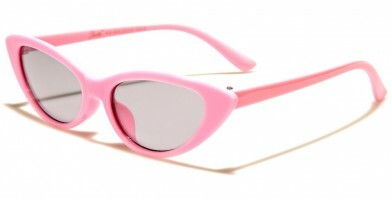 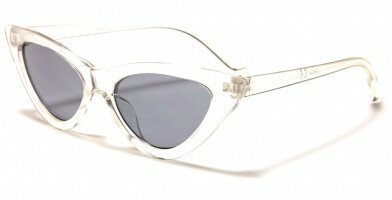 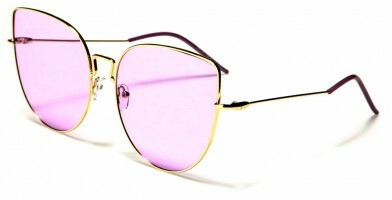 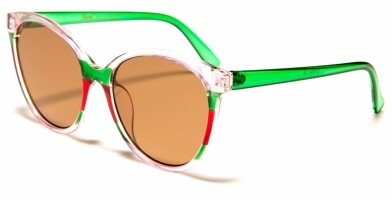 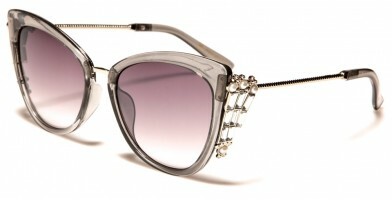 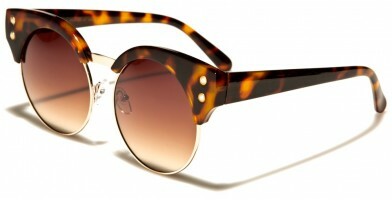 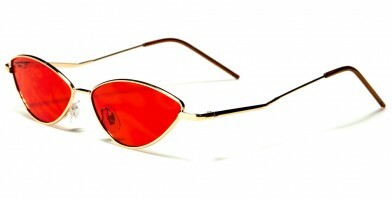 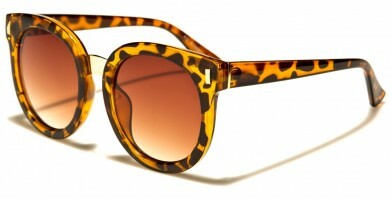 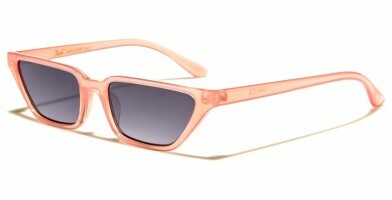 Cat eye sunglasses are among the trendiest and most fashionable women's sunglasses. 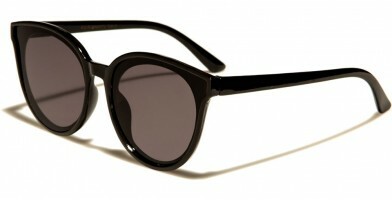 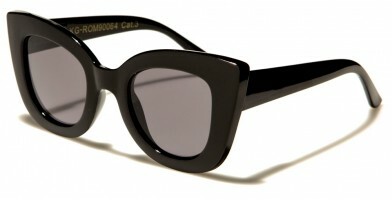 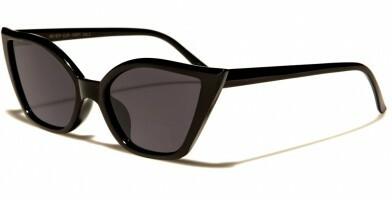 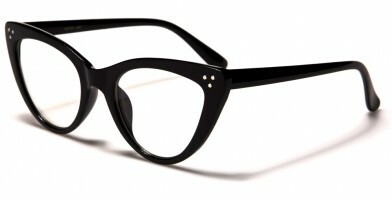 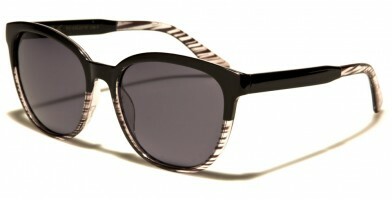 Gaining popularity in the 1950s and 1960s, fashion icons and movie stars helped propel cat eye sunglasses to new heights. 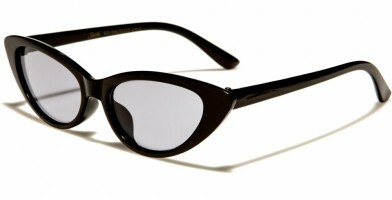 Cat eye styles are defined by upswept outer edges. 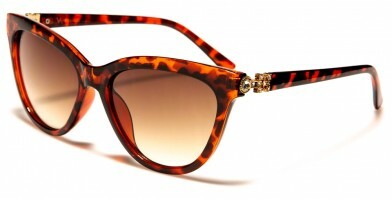 Celebrities who helped make cat eye styles popular include Marilyn Monroe, Audrey Hepburn, Elizabeth Taylor and the iconic character Dame Edna Everage. Available in bulk in a wide range of colors, Olympic Eyewear's cat eye designs feature tasteful silhouettes and embellished rhinestone designs. 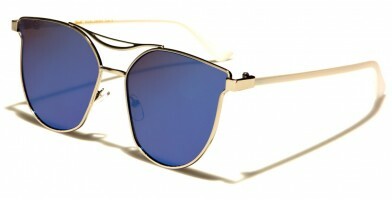 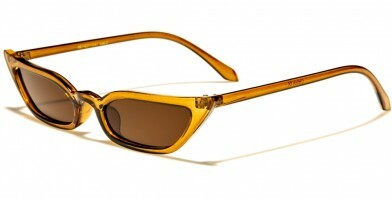 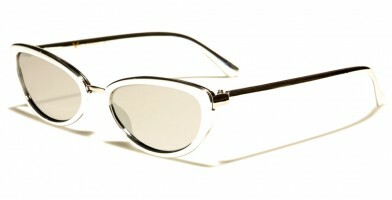 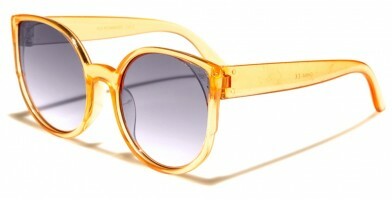 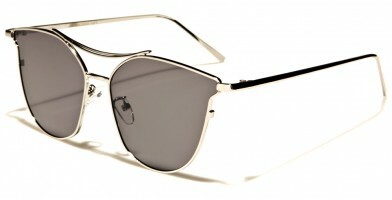 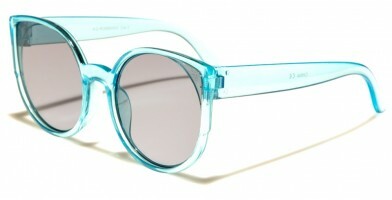 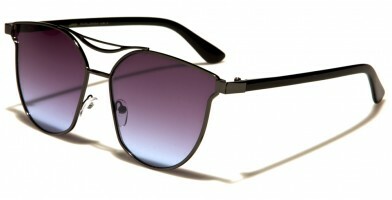 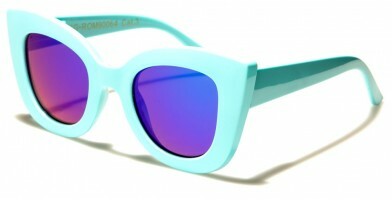 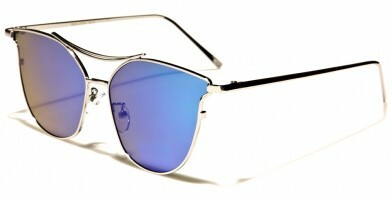 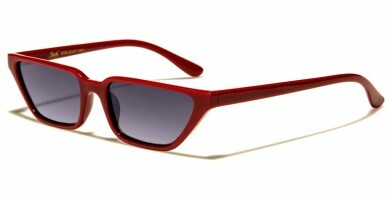 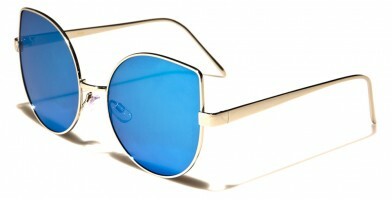 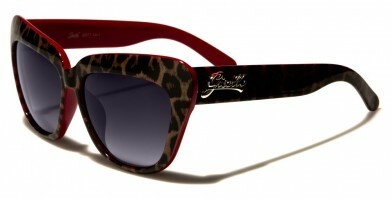 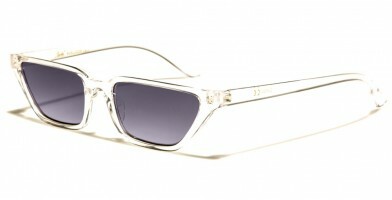 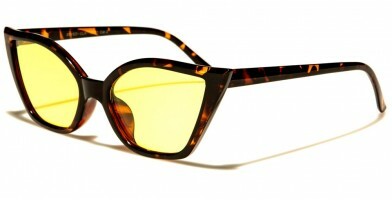 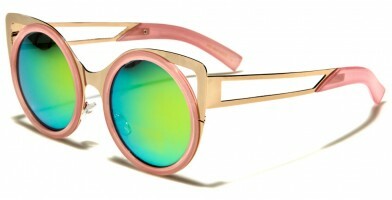 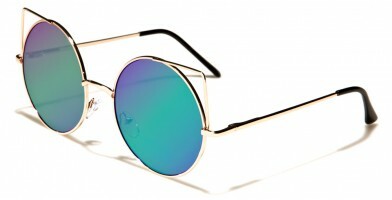 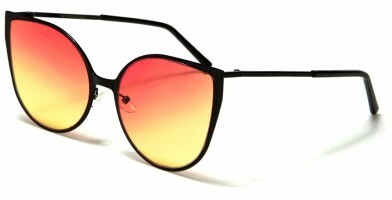 These wholesale sunglasses feature smoke as well as color-mirror lenses for an upscale mix-and-match look.